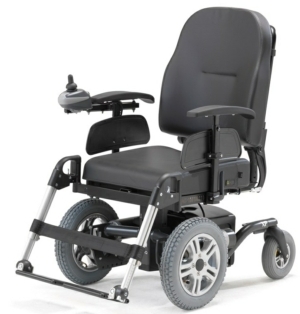 We supply a wide range of powered mobility chairs for both indoor and outdoor use. 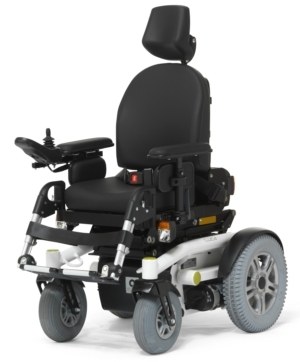 Each powered mobility chair offers a wide variety of optional features such as rise and recline, side supports and trunk supports, enabling us to make the chairs bespoke for any user. 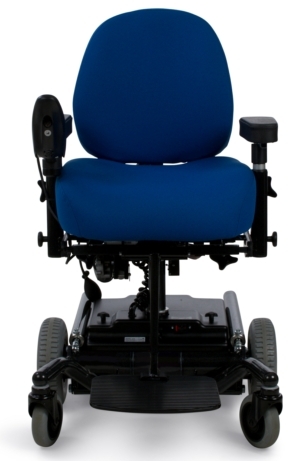 Each of our powered mobility chairs have a compact base making them ideal for office and/or home use. Built with a generous amount of standard features, the chairs offer a fantastic solution to a wide range of disabilities such as muscular dystrophy and cerebral palsy. 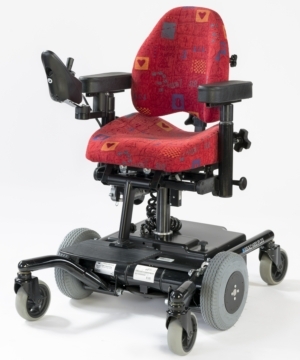 Each of our powered chairs have an easy to use drive control which can also be fitted to the back of the chair for attendees and rise and tilt options for ease of transferring in and out of the chair. The powered chairs offer complete independence and and bespoke comfort and support to office-based workers by acting as a powered office chair. Alternatively, they are ideal for use at home due to their small footprint and nimble manoeuvrability. Our powered mobility chairs are manufactured by Mercado Medic and Handicare - two of the leading manufacturers of powered chairs in the market. Each of the chairs are based on a modular system, so the powered chairs can be tailor-made for each individual from the wide range of options available. Real & BCS 6100 - These are indoor powered chairs manufactured by Mercado Medic with an electric seat riser fitted as standard as well as fold-away arms to enable easy transfer to an outdoor chair. With one of the most compact bases on the market and a 360 degree turning circle, the Real 6100 chairs are nimble and smooth to drive. The BCS 6100 chairs are exactly the same chair as the Real 6100 chairs but with our own seating system fitted for extra comfort. The BCS 6100 can be modified as required making them the perfect option for powered office chair requirements. The Real 6100 chairs also have a paediatric version which is the same as the adult version with slight adaptations such as a smaller seating system and footplate. This means that as the child grows, the adaptations can be replaced for larger components - rather than having to buy a whole new chair. 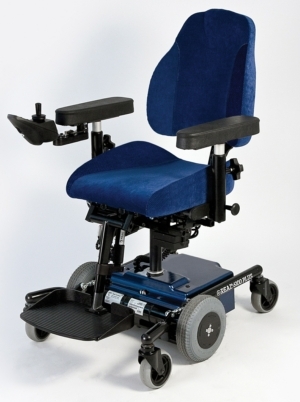 Ergo Glide XP - These are a dual purpose powered chair perfect for both indoor and outdoor use. With hundreds of option combinations, the chairs can be modified for any disability. 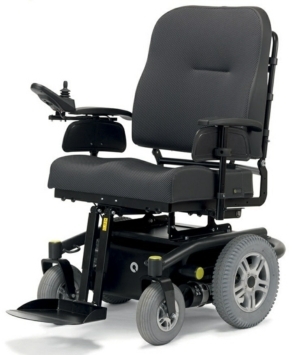 Available in either front wheel drive or rear wheel drive the chairs deliver a smooth ride with maximum moveability. There are paediatric (Luca Junior) and bariatric (Luca XL) versions available, with the Luca XL holding a weight limit of 39 stone - ask us for details of these chairs. Arrange an assessment for our powered mobility chairs today!